Rachel completed a Bachelor of Science (Biochemistry) at the University of Queensland prior to undertaking postgraduate Bachelor of Medicine / Bachelor of Surgery at Griffith University. Background: Vitamin D is essential for many biological functions in the body. Populations that are deficient in vitamin D have increased cardiovascular morbidity and mortality. Current research is controversial, and the evidence base is still developing. This review looks at the interaction between vitamin D levels and cardiovascular disease, including the major cardiovascular risk factors – diabetes, obesity, hyperlipidaemia and hypertension. Methods: A literature review was undertaken through MEDLINE / PubMED / Ovid / Springerlink / Web of Science databases. The terms, “vitamin D”, “vitamin D deficiency”, “cardiovascular risk”, “cardiovascular disease”, “structure”, “function”, “ergocalciferol”, “cholecalciferol”, “calcitriol”, “vitamin D receptors”, “1α-hydroxylase”, “diabetes”, “obesity”, “hypercholesterolaemia”, “hyperlipidaemia” and “hypertension” were used. Sixty-eight articles were selected and analysed, with preference given to studies published in English and published within recent years. Results: There is a correlation between adequate vitamin D levels and type two diabetes mellitus, but limited research to support this. Obesity, physical inactivity and elevated circulating lipids are more common in vitamin D deficiency. These relationships have not been shown to be causal. Some studies have shown an inverse correlation between hypertension and vitamin D levels, while others have shown no relationship. Conclusion: The studies analysed show there is limited evidence to suggest that cardiovascular disease may be prevented by adequate vitamin D levels. There are few well-designed studies that demonstrate the relationship between the cardiovascular risk factors – diabetes, obesity, hyperlipidaemia, hypertension, and vitamin D. Further research is needed to clarify the infl uence of vitamin D on cardiovascular disease. What is vitamin D, and how do you get it? The liver converts vitamin D3 to biologically inactive 25-hydroxyvitamin D3 (calcidiol). This is converted to biologically active 1,25-dihydroxyvitamin D3 (calcitriol) under the infl uence of renal 1α-hydroxylase predominantly in the kidney. [5,6] 1α-hydroxylase is under the control of parathyroid hormone (PTH). Calcitriol is regulated by negative feedback on itself, by increasing production of 25-hydroxyvitamin D-24 hydroxylase. This enzyme catabolises calcitriol to its biologically inactive form, calcitroic acid, which is excreted in the bile and urine. Other factors such as serum phosphorus, calcium and fibroblast growth factor 23 (FGF-23) can increase or decrease production of calcitriol. Increased serum calcium levels reduce PTH, causing down-regulation of 1α-hydroxylase, reducing calcitriol, and therefore calcium levels. [5,6] A simplified diagram of the biological function of vitamin D is outlined in Figure 1. How does vitamin D affect cardiovascular disease? 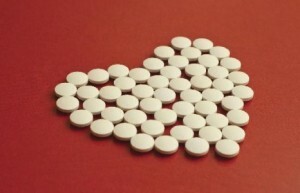 Mechanisms for cardiovascular risk reduction with vitamin D supplementation include the inhibition of smooth muscle proliferation, the suppression of vascular calcification, the down-regulation of inflammatory cytokines, the up-regulation of anti-inflammatory cytokines, and the negative regulation of the renin-angiotensin-aldosterone system (RAAS). [21-26] Inappropriate stimulation of the RAAS is associated with hypertension, myocardial infarction and stroke. Calcitriol treatment has been shown to reduce blood pressure, renin activity and angiotensin II levels. The effects of vitamin D deficiency on the cardiovascular system are outlined in Figure 2. The research surrounding the interaction between vitamin D supplementation and type two diabetes mellitus is controversial. To date, there have been no adequate, large and prospective, randomised controlled trials to test the efficacy of vitamin D supplementation for the prevention and treatment of type two diabetes mellitus. The current available data allows a recommendation that further research be conducted to determine whether adequate vitamin D levels may prevent the onset of type two diabetes. Type one diabetes mellitus will not be discussed in this review. Vigorous physical activity is a strong and modifiable contributor to vitamin D status. This may be due to sun exposure correlated with physical activity, however, a number of studies have shown the positive effect on vitamin D status may be independent of sun exposure. [50-54] Further research is needed to clarify this. A large, prospective study of the modifiable predictors of vitamin D status was conducted using 2,621 healthy individuals aged 55-74 in the USA. Predictors of low vitamin D status were found to be low dietary vitamin D intake, BMI > 30kg/m2, physical inactivity and low milk and calcium supplement intake. There is an inverse relationship between apolipoprotein A-I and high density lipoprotein cholesterol with vitamin D levels in a survey of 358 Belgian people. This relationship was not shown to be causal, but further research is warranted to see if vitamin D provides this cardioprotective link. To date, there are few good quality randomised controlled trials looking at the relationship between vitamin D levels and blood pressure. There is weak evidence to suggest that there may be a relationship between the two, however, further research is needed to draw any conclusions that may change the management of blood pressure. Vitamin D is an important molecule to consider in the pathogenesis of cardiovascular disease. Current research shows that vitamin D deficiency contributes to cardiovascular morbidity and mortality. The mechanisms proposed for this include direct actions on the heart and vasculature, as well as by increasing the risk of cardiovascular risk factors such as diabetes, obesity, hyperlipidaemia and hypertension. Further research is needed to clarify the influence of vitamin D on cardiovascular disease and its risk factors, and whether vitamin D is an efficient, cost-effective and safe intervention to prevent cardiovascular morbidity and mortality. Dr Ruan Lakemond, for his kind assistance in proof-reading this article and technical support. Prof Rick Jackson, for his generous support and help finding a suitable topic.